Updated: read our Hands on: Apple iPad review. The world has been waiting impatiently for the day when Apple would finally spill all the details on its tablet – and it has finally arrived: the iPad. But is it all hype and no substance, or has Apple managed to once again release a game changing device into the world? We give you all the information you need on Apple's latest toy. 1. Coming to the UK? The main question we're all asking is: when can we get this in the UK? 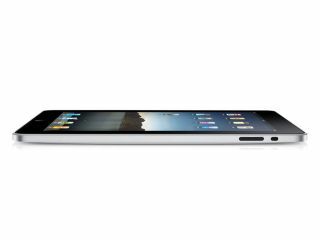 Well, although Jobs did say that Apple was in talks to bring the 3G iPad internationally (with an announcement in June) we've yet to get a firm date. But don't go expecting to get your hands on one before summer. The Wi-Fi version should be in the shops in March, however. Apple has taken a slightly different route with the iPad – not only does it come with a 3G connection (on the more expensive models) but Apple is offering one-off payments for monthly data. Based on the US figures, we'd imagine this will be £12 per month for 250MB of data (which Jobs laughably said would be enough for most people) and around £18 for unlimited data – likely with free Wi-Fi. One of the big announcements of the iPad launch was Apple's own chip – the 1GHz Apple A4 chip to be precise. This is significant not only because it marks Apple's new strategy into its own chips, but it means the device is FAST. Early hands on reviews have confirmed this – it's like the iPhone, but only a lot, lot more nippy when navigating around. You might have noticed that Apple's 'into' applications – and that's evident in even greater force in the iPad release. We saw native applications from EA in the shape of Need for Speed Shift and the NY Times, with both taking advantage of the wider screen and higher-res display. Apple also announced it has overhauled IWork for the iPad, meaning a snazzier UI and the ability to download individual components for only $9.99 (£6) each, making it easier to decide how you want your device to help you function. Here's where Apple dropped the ball a little bit – carrying the mistakes of the iPhone into the iPad. There was no hint of multi-tasking, which is what you're going to want to do on a device like this all the time, and Flash was absent again, thus ruining the web browsing experience. We're not saying that Apple has to offer these elements, but a 10 hour battery life surely wouldn't have been compromised that much by being able to run two things at once, surely?